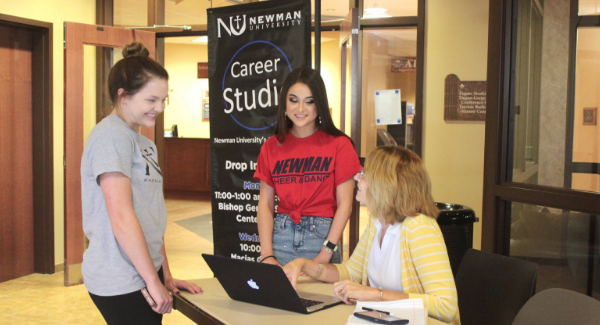 Newman University Career Services is a beneficial resource on campus that is available to help students prepare for their future in the workforce, and it’s a resource they should start using early in their college career. 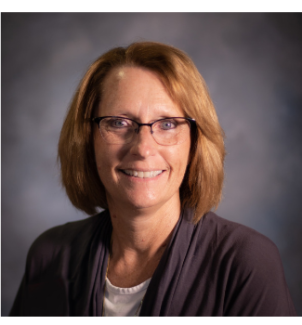 Director of Career Services Melody Head has been professionally trained to assist college students with career-related concerns and invites students to visit with her about their future. Her office provides students with networking opportunities and career-readiness initiatives each semester and Head spends time personally assisting students with the tools they need to succeed in the workforce. Each year, Career Services puts on multiple career-related events for Newman University students. Students are invited to attend the Highway 54 Career Fair, NU Business Mingle, and various professional development workshops put on by the Career Services office. Students are also invited to participate in events like the JC Penney Suit-Up event that offers students a large discount on business clothing at JC Penney stores. “These events are hosted annually to provide opportunities for students to develop the workforce skills they will need to be successful after graduation,” said Head. For a freshman just beginning the college journey, career development may not seem like a priority but according to Head, the sooner students begin to prepare for their future career, the better. She said, “Students should begin career development the first semester they are on campus and continue learning and developing their career skills throughout their college experience. “Career experts say that people will change careers (not jobs) five to seven times in a lifetime. That’s why career management is an important life skill to develop and cultivate,” explained Head. She also mentioned that the more well-known you are by the Career Services office staff, the easier it is for them to recommend you to an employer with a job or internship opportunity. She works closely with various potential employers of Newman students and is a very beneficial resource for those looking to advance their career. Students visit Career Services for many reasons and Head said it’s “the best place on campus to help students figure out what they want to do with their life and how.” It’s also a great place to meet students who share the same worries about their future, she added. Head reminds students that the Career Services office is a benefit included in their student fees, so they may as well take advantage of it. Career Services is located in Sacred Heart Hall 302 and Head invites all students to visit her to help advance their career-readiness. For more information, contact Head at headm@newmanu.edu or (316) 942-4291, ext. 2234.